Red Light: 640nm (Red Weavelength) Skin penetration depth: 1-6mm Effect: The most penetrating power, skin cell regeneration, increasing the oxygen content in the blood to stimulate the circulation of blood, improve ance wound, treating allergic dermatitis or ringworm to ease the pain and promote the active of the ample active ingredients activating cells, enhancing energy efficiency, promoting collagen proliferation, improving wrinkles, effective treatment of aging, skin relaxation and products deep absorption. Reference: There will be a little hotness in the course of treatment. There will be some stimulation when you have this treatment in condition of skin turning to red after the laser treatment. Blue Light: 423nm (Purple Weavelength) Skin penetration depth: 1mm Effect: Bacteria killing, skin cleaning,cell activation,injury recovery, promoting protein-ossein composition, acne skin sterilization, inhibition of sebaceous gland, prevention of wound infection. Reference: often be applied in acne treatment. Green Light: 532nm (Green Weavelength) Skin penetration depth: 0.5-2mm Effect: Effective reduction of melanin cell, decreasing pigment formation, adjusting skin gland function, reducing grease gland excitation, stabilization, application of sensitive skin. Reference: Commonly used in red skin after laser treatment to reduce the red degree and calm skin. 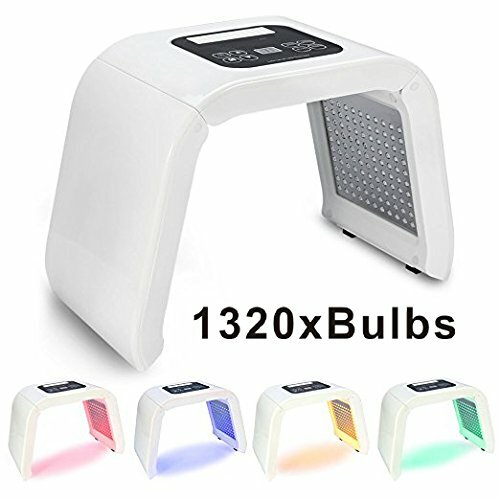 Yellow Light: 583nm (Yellow Weavelength) Skin penetration depth: 1-2mm Effect: Improving cell's oxygen alternation function, promoting mirco circulation, decomposing pigment, promoting lymph posion discharge, curing skin roughness, red spots and deficient circulations, anti redness, red face, pigment precipitation. Reference: Used to stain therapy, can also be used for the initial treatment of herpes zoster advantage.